Westhampton Massachusetts is a gateway town to the Hidden Hills. Any trip to the Hilltowns is not complete without a stop at Outlook Farm and Market. Breakfast and lunch are served at the Eatery, and there is a full selection of fresh meat, dairy, produce and bakery items. 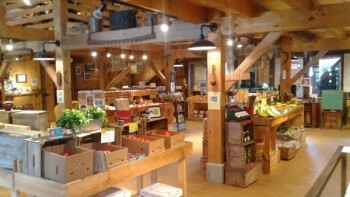 They also offer crafts on the second-floor barn and you can check out their working cider mill. Outlook Farm offers seasonal events, such as the Apple Festival in the fall, with live music and great food. They also do catering, so if you’re in the Hidden Hills looking for a wedding venue, they are a good choice. Stop by on your way to the Hidden Hills for supplies and refreshments! Our favorites are the hot pepper jelly (great with cheese and crackers) and the giant cowboy cookies. After your stop at Outlook Farm, a nice hike at Mass Audubon Center Lynes Woods Wildlife Sanctuary is a great way to work off the cookies. There is a short (1 mile) nature trail, perfect for young children. If you’re a bicyclist, the Manhan Rail Trail is nearby and you can bike to Northampton and have a cold one at the Northampton Brewery. The trail, named after the Manhan River which it parallels, utilizes the bed of the former Pioneer Valley Railroad, which served the industrial towns of the lower Pioneer Valley until 1992. 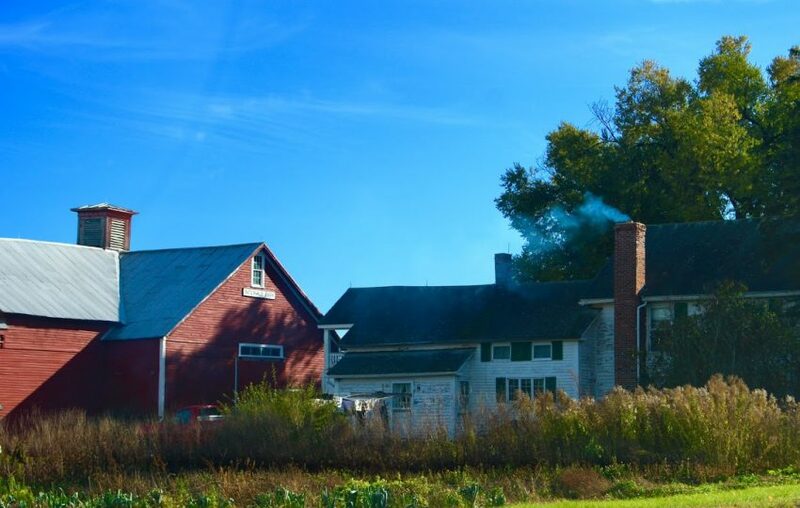 The Westhampton Museum and Blacksmith Shop is a perfect stop for the local history buffs. The front room is an authentic 19th-century blacksmith shop, filled with tools and displays of carpentry, leather-working and tinsmithing tools. The next room houses the only Loudville Lead Mine exhibit in existence where visitors can view maps and sketches of the various mining operations in Loudville over three centuries. Stop into Hanging Mountain Farm for the Strawbale Cafe for breakfast. the building was built by the owner’s daughter out of straw bales! The Cafe serves pancakes with maple syrup made on site.